In this short, highly readable book, the master of world-systems theory provides a succinct anatomy of capitalism over the past five hundred years. Considering the way capitalism has changed and evolved over the centuries, and what has remained constant, he outlines its chief characteristics. In particular, he looks at the emergence and development of a world market, and of labor; in doing so, he argues that capitalism has brought about immiseration in the Global South. As long as they remain within a framework of world capitalism, Wallerstein concludes, the economic and social problems of developing countries will remain unresolved. 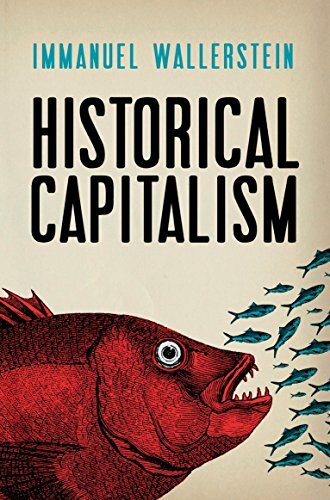 Historical Capitalism, published here with its companion essay Capitalist Civilization, is a concise, compelling beginners’ guide to one of the most challenging and influential assessments of capitalism as a world-historic mode of production. 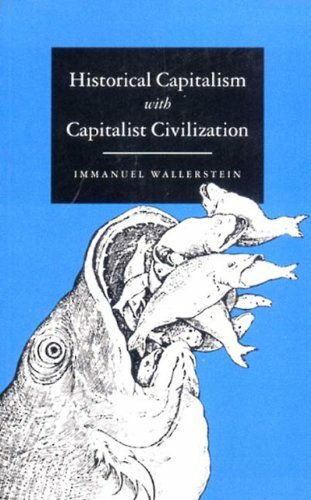 In this short, highly readable book Immanuel Wallerstein provides a condensation of the central ideas of his monumental study of capitalism as an integrated, historical entity: The Modern World-System. In developing an anatomy of capitalism over the past five centuries, Wallerstein traces those elements that have constantly changed and evolved, while giving equal attention to features of historical capitalism that have necessarily remained constant. Particular attention is focused on the emergence and development of a unified world market, and the concomitant international division of labour. Wallerstein argues forcefully, against the current of much contemporary opinion, that capitalism has brought about an actual, not merely relative, immiseration in the countries of the Third World. The economic and social problems of underdeveloped countries will remain unresolved as long as they remain located within a framework of world capitalism. Immanuel Wallerstein is director of the Fernand Braudel Center at the State University of New York. His books include a three-volume study, The Modern World-System, Historical Capitalism, and, cowritten with Etienne Balibar, Race, Nation, Class.